In this episode, we continue the beautiful story that Nishant shared with us last week. 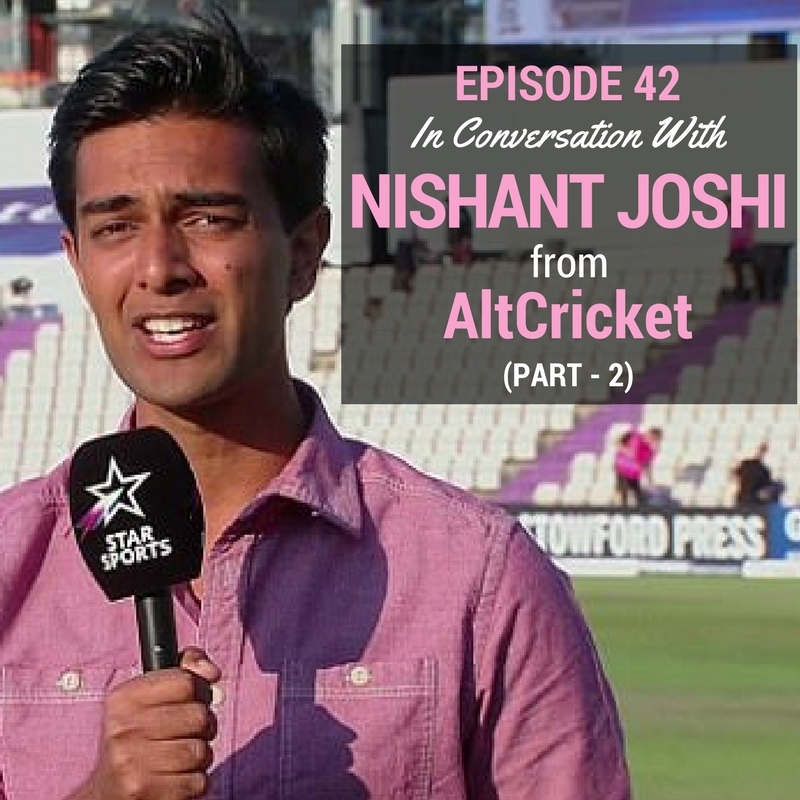 For those of you who are just tuning in, last week, we interviewed Nishant Joshi from AltCricket. Nishant is a full-time doctor who has written his own book, hosted his own cricket TV shows, and even built his Alternative Cricket brand on the internet all with his own two hands. After the tears from the previous episode, Nishant pulls us all out of gloom by sharing the story of how he wrote a book in just a month during his second year of college, and how a simple twitter account he started to publicize this book later landed him deals with high profile media partners like Star Sports. This time around, we promise there are fewer tears!